From now until January 21st at midnight, all sale items at Peek are marked down an additional 25%. Some of the little things pictured above are really fantastic deals... for example, the Little Peanut knit baby dress in brown for $8.99 on the top row. Or the boys' red thermal tee on the third row for $5.99 (also available in baby sizes for the same price). I love the shiny orange Thalia skirt at the end of the third row... just $14.99 (originally $48). And the little striped Tumble tee on the top row is now cheaper at Peek than it is at Nordstrom this week (see this post), just $8.99. 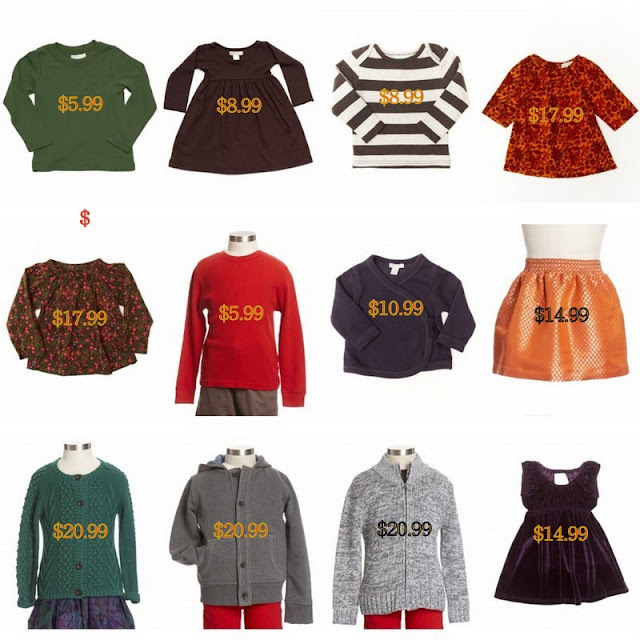 All prices on Peek's website (and above) already reflect the additional 25% markdown.